Lenovo-owned Motorola has announced a new smartphone in its ‘P’ series dubbed as Motorola P30 Note in China. The Motorola P30 Note’s key features are a Snapdragon 636 processor, a vertical dual camera setup, and a display notch in the front. The new Motorola P30 Note is the upgraded version of the Motorola P30 which was launched earlier this month in China. The key differences between the two include a 5,000mAh battery and a dedicated microSD card slot. Moreover, the specs and design of the new Moto P30 Note are similar to the Motorola One Power, which was launched at IFA 2018 a few days ago. If we talk about specs, the Motorola P30 Note sports a 6.2-inch FHD+ (2246×1080 pixels) display with 19:9 aspect ratio and 2.5D Gorilla Glass protection. 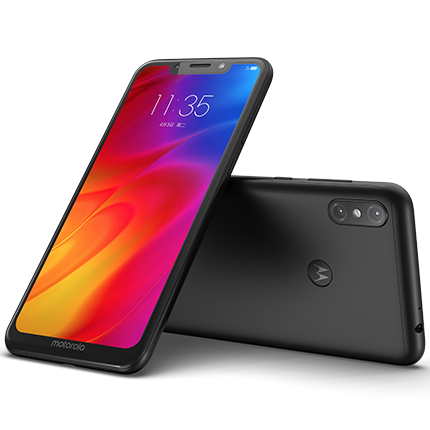 It is powered by the Snapdragon 636 octa-core processor with Adreno 509 GPU, up to 6GB RAM, and 64GB storage which is expandable up to 256GB via dedicated microSD card slot. In terms of camera, the Motorola P30 Note sports a 16MP primary camera with f/1.8 aperture, 1.25um pixel size and a 5MP secondary sensor with f/2.2 aperture and dual-tone LED flash. There is a 12MP selfie camera with f/2.0 aperture and 1.25um pixel size. Connectivity options on the device include 4G VoLTE, Wi-Fi 802.11 ac, Bluetooth 5, GPS + GLONASS, and 3.5mm audio jack. The smartphone packs a 5,000mAh battery with fast charging support. The Motorola P30 Note price in China starts at CNY 1,999 (Rs. 20,700 approx.) for the 4GB RAM variant. While the 6GB RAM variant is priced at CNY 2,299 (roughly Rs. 23,800). The smartphone comes in Mercury Black colour option and is already available for purchase in China. Meanwhile, Motorola is all set to launch the Motorola One Power Android One phone in India in October. Since the specs and design are similar, it is quite possible the same P30 Note will be launched in India as Motorola One Power. The only difference between the One Power and the P30 Note is that the P30 Note runs on ZUI 4.0 on top of Android 8.1 Oreo, while the One Power runs on stock Android 8.1 Oreo.